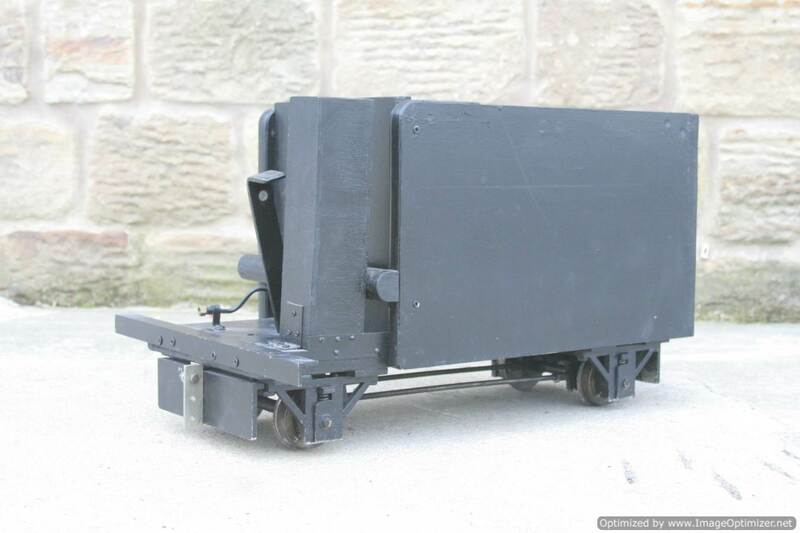 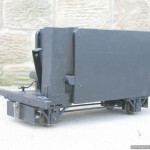 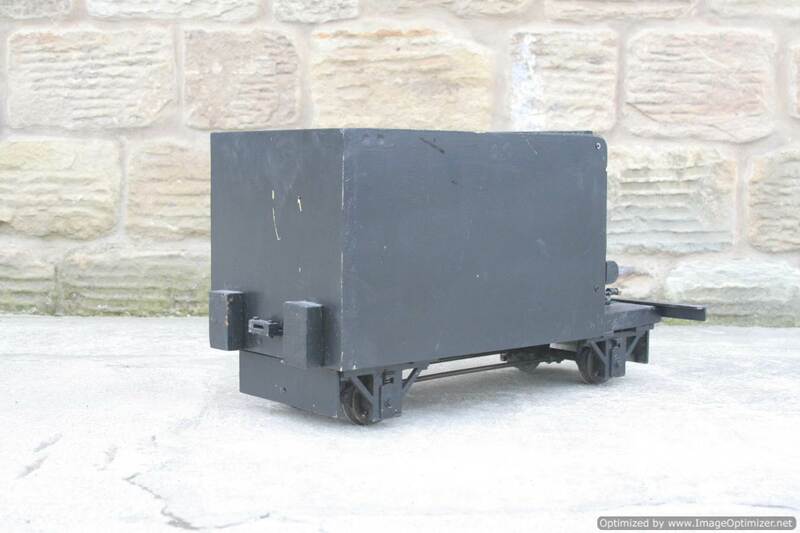 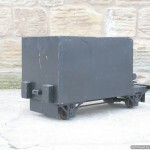 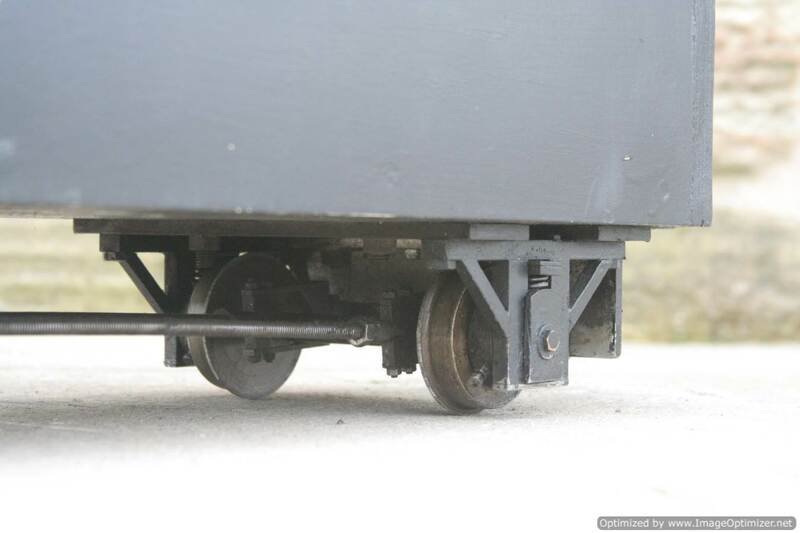 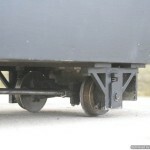 Here we have a ground level 5″ gauge braked driving truck. 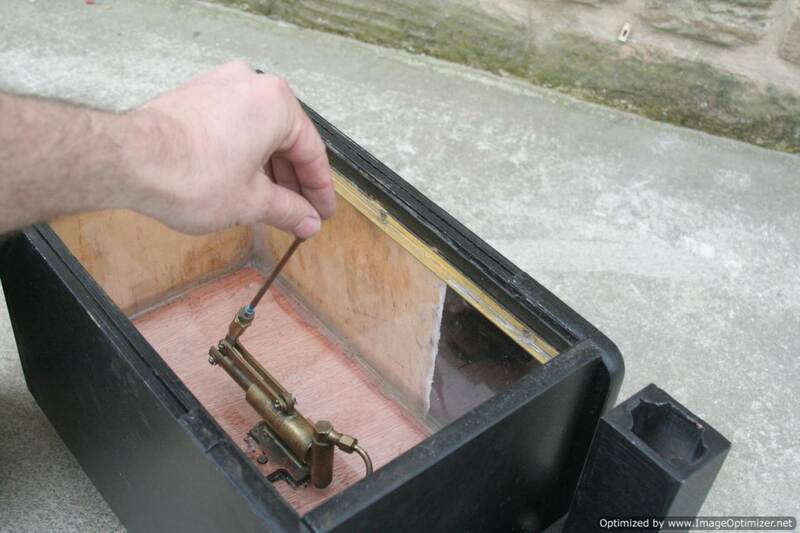 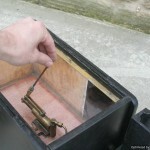 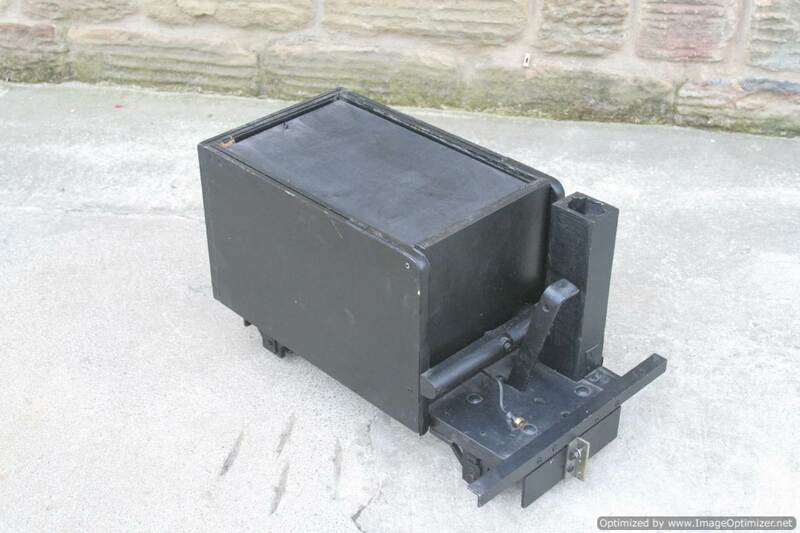 There is a good size water tank with a mechanical hand pump inside. 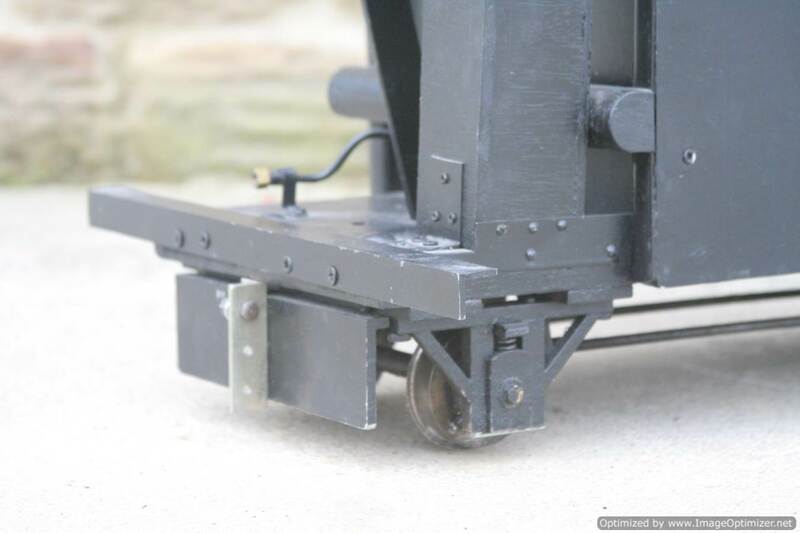 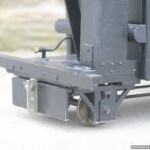 The hand brake operates on both axles and is activated by the large simple lever between the drivers legs and the suspension is comfortably balanced. 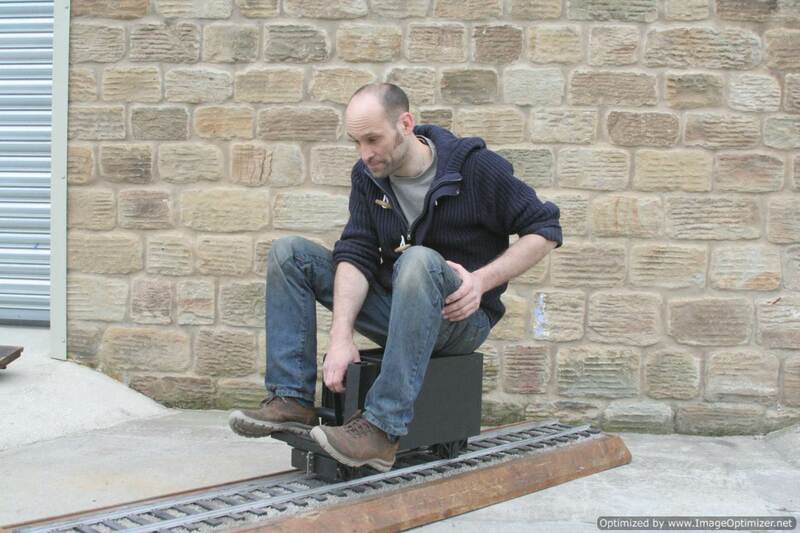 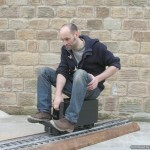 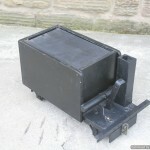 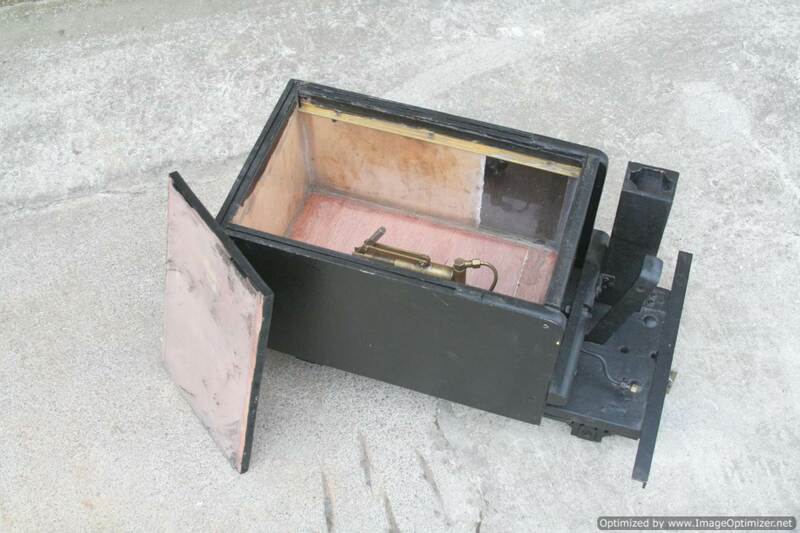 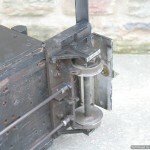 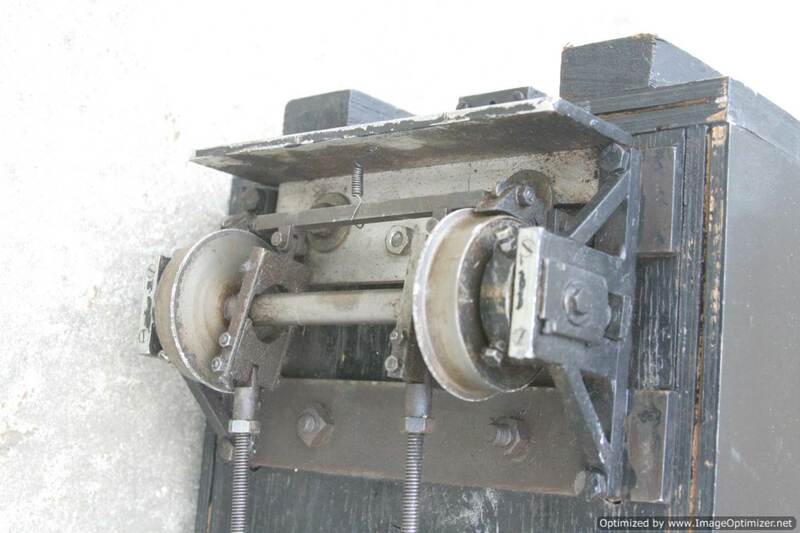 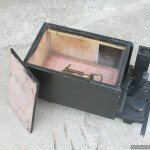 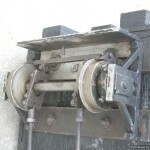 There is a vertical wooden box designed to hold your firing irons, and a simple angle plate for coupling up to various different locomotive heights. 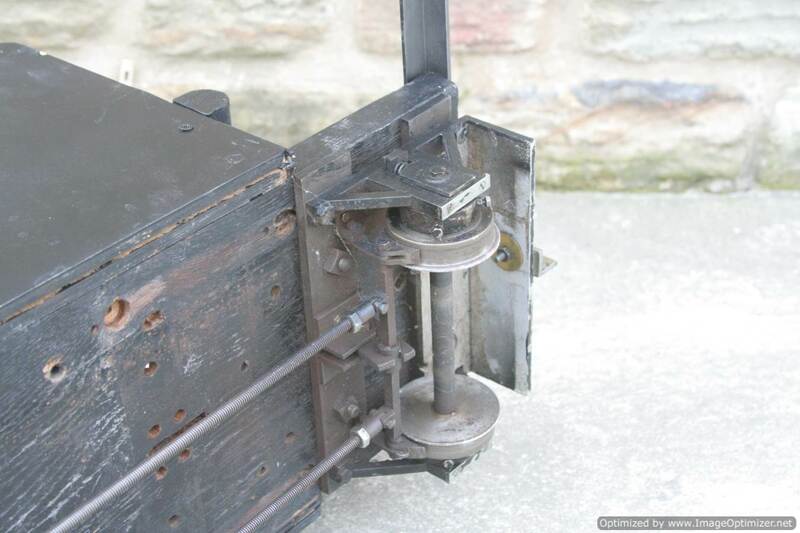 Reasonably well made, soundly constructed and ready to play.